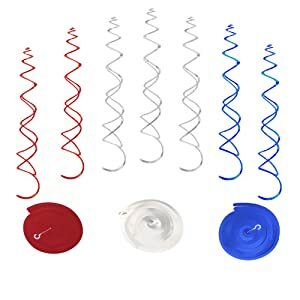 Pack of 29 red,white,blue patriotic hanging decorations. Feature American Flag,Fireworks and stars at the end of shimmering swirls. Each hanging decoration extends to approx.36" long. Come assembled - It attach a hook on the top,you can directly hang it anywhere you like. 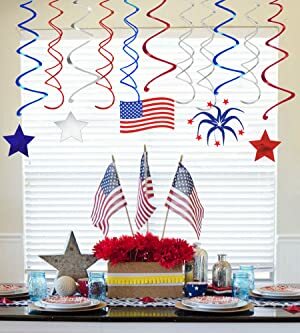 Hang from walls and the ceiling to add style to your party,and coordinate with other Independence day party supplies and solid colored party decorations to create a completely festive atmosphere. 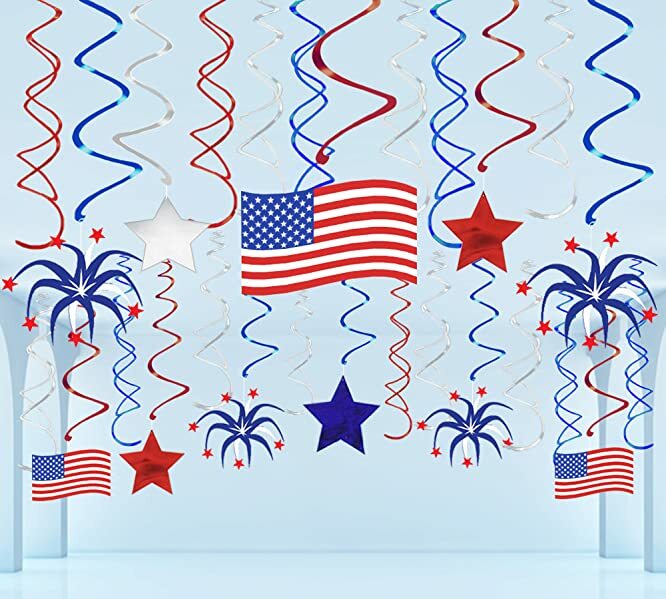 These fourth of July Hanging Party Decorations are designed to add a festive touch to your party. 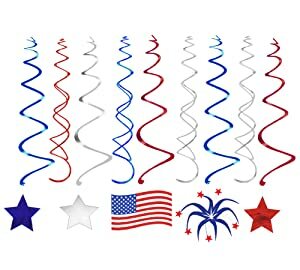 They are fashioned with shiny blue,sliver and red foil swirls and star-shaped foil and American flag,fireworks cutouts. They extend to 36" in length. These hanging patriotic decorations can be hung from lights or other fixtures. They can also be attached directly to walls or to a ceiling. 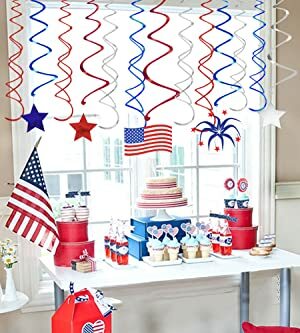 Coordinate these Independence Day themed Hanging Party Decorations with matching party supplies or combine them with solid-color decorations for added interest and impact.